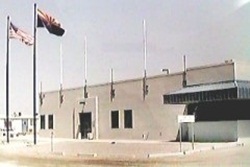 Arizona State Prison Complex Safford is split into 4 units. Fort Grant, Graham, Miles Detention and Tonto unit. Each of the units treats a variety of custody levels, and offer their own unique programs, although some of them overlap with one another. All of the inmates incarcerated at Safford Prison are given basic medical and dental care. There are many vocational and educational programs that allow inmates to better themselves while they are being rehabilitated. Work programs and religious services as well as the inmates ability to earn an associates degree are just some of the highlights of this institution. Visiting for ASPC Safford inmates is on Saturdays, Sundays and Holidays from 8am-3pm. Visitors will not be allowed to enter into visitation past 2:00pm. Detention inmates can have non-contact visitation by appointment only. To schedule an appointment you must call (928)-428-4698 at least 24 hours prior to your visit.